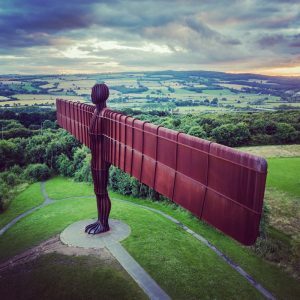 As a Same Day Courier Newcastle our drivers see the Angel Of The North on a daily basis, as you drive over the hill on the A1 as it looms in the distance and they know they are not far from Newcastle! The Angel was designed by Antony Gormley. The enormous sculpture stands at 20 meters tall and has a wing span of 54 meters! The Sculpture was built out of steel and based on a cast of Antony’s own body. Work started on the sculpture in 1994 and was completed in 1998 at a whopping cost of £800,000… largely funded by the National Lottery. Due to the angel being open to all types of weather it was built out of weather resistant steel, it also had to be wind proof, this meant when constructing the Angel it needed 600 tonnes of concrete poured to anchor the sculpture to rock 70 feet down. The sculpture was built at Hartlepool Steel Fabrications Ltd and when finished was moved by road in 3 separate parts, the body and two wings. It was transported in convoy down the A19 by a 48 wheel trailer, maybe in the future we could do a same day delivery in the Newcastle area for another of Antony’s amazing sculptures! To see more of Antony’s work take a look at http://www.antonygormley.com/ According to Antony Gormley himself, the significance of the angel was three-fold: first, to signify that beneath the site of its construction, coal miners worked for two centuries; second, to grasp the transition from an industrial to an information age, and third, to serve as a focus for our evolving hopes and fears. It certainly stirs emotion for everyone who see it! The Tyne and Wear metro also known in Newcastle just as the Metro opened in 1980 and is considered to be the world’s first electric urban railway. The Metro has two lines with a total of 60 stations, 9 of the stations are underground. In 2017/18 over 36 million passengers used the metro system! As a courier we are used to transporting our goods via more conventional methods. The Tyne and Wear line is powered by overhead electric lines and it’s the last rail network in Britain to use this way of operating. The Metro’s much needed upgrades are under threat with the worry of Brexit, the fear of the drop in the pounds value could cause ‘significant threat’ for the price of a new Metro fleet. Lets hope Brexit does not affect the Metro as it is a way of life for the people of Newcastle to travel get in and out of the city! 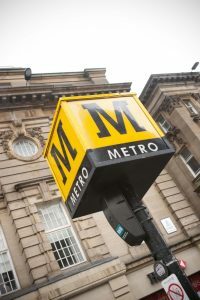 You can find time tables and the latest news about travel here on https://www.nexus.org.uk/metro .In similar vein to the Metro we run like clock work collecting and delivering around Newcastle to your time table. 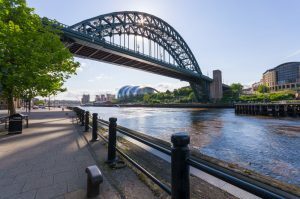 For all of your requirements in the North East give us a call on 03300417079. We’re avid football lovers here at All About Freight although we follow the red half of Nottingham, with St James park being the 7th largest football stadium in England able to seat 53,288 people! We have watched plenty of games played here. St James park is the home of Newcastle United since 1892, The football ground was originally just a sloping grazing land. The stadium now follows the black and white colours of Newcastle United also known as the “Magpies” United used to actually play in red and white until 1904. The stadium has under gone many expansions over the years, the latest upgrade was completed in 2000 costing a staggering £43 million! The main entrance now has lifts and escalators behind an impressive glass atrium, with one stand having 4 concourse levels, as a structure the stadium is so prominent you cannot miss it when you visit the city centre with its glass and steel construction. To find out more on the history follow this link https://www.nufc.co.uk/club/history/history-of-our-home .The stadium was recently used for the 2015 Rugby World Cup hosting teams such as Scotland and South Africa. 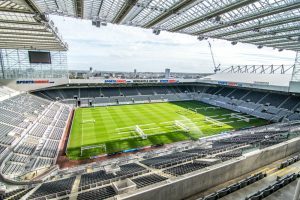 Newcastle Falcons have also started playing some of their home matches at the stadium making full use of the huge capacity of over 52,000 seats. First Division titles. find out more about whats going on and next matches on the official Newcastle United website https://www.nufc.co.uk/ If you ever forget your match ticket we can organise a same day collection and have one of our Same Day Couriers collect and deliver to you so you don’t miss your match! 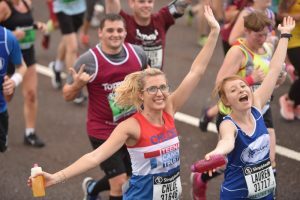 Posted in Newcastle and tagged with Angel Collection Courier Dedicated Delivery Football Great North Run Newcastle North East Same Day Courier SameDay Courier Statue Tyne Bridge Urgent Van Delivery .